After long investigations and plenty of charges filed against his top aides, Rep. Chaka Fattah (D-PA) of Philadelphia and four aides and associates have been hit with a 29-count indictment, including charges of conspiracy, racketeering, bribery, wire fraud, mail fraud, money laundering, and much more. We take note not because Fattah is a member of Congress but because of the significant interplay of Fattah-associated nonprofits in the indictment. Among the defendants is Karen Nicholas, the CEO of a Fattah-founded nonprofit, the Educational Advancement Alliance, and apparently a financial manager for another Fattah nonprofit, College Opportunities Resources Education Philly (CORE Philly). 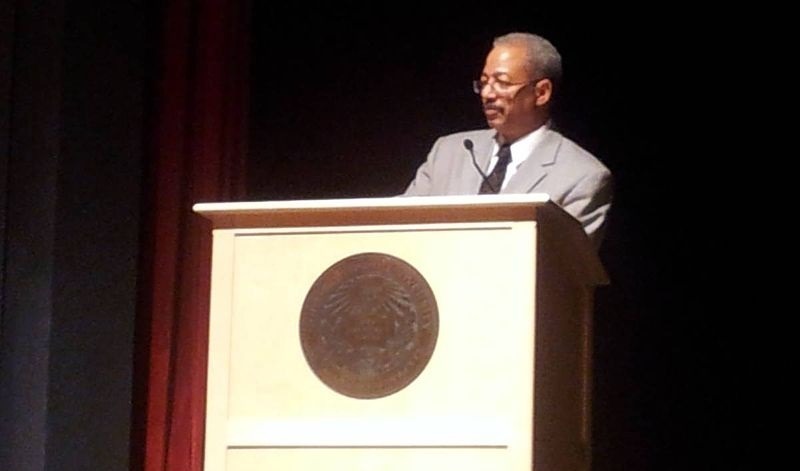 Nicholas was also responsible for organizing the annual Fattah Conference on Higher Education. Another defendant is Gregory Naylor, a political consultant whose firm had contract work with the EAA and who, in 2008, took over as executive director of CORE Philly. Page 29: helping a political consultant to the Fattah campaign seek a $15 million appropriation for a group called “Blue Guardians,” ostensibly an organization devoted to environmental education and coastal heritage preservation in poor communities along the Atlantic seaboard, even though Blue Guardians doesn’t exist. None of this is all that new. One of the people in the indictment, Gregory Naylor, pleaded guilty last year to some of the misuse of charitable and government money, though at the time Fattah himself was not indicted. But the bigger issue is that EAA, CORE Philly, and other nonprofits constitute a web of nonprofits linked to or established by a member of Congress that has paid millions to Fattah staffers, campaign aides, and family members, amounting to at least $5.8 million between 2001 and 2012. Moreover, it is all but blatant that some of the funding that went to these nonprofits, such as large grants from NOAA and NASA, were congressional earmarks. Other earmarks were attempted, such as a $750,000 Environmental Protection Agency one to a nonprofit called Environment and Sports Inc. associated with a Fattah political ally—though EPA concluded that the nonprofit’s plan to “highlight best environmental practices” in golf course management was beyond its capacity and contained nothing new or innovative. Substantial six-figure sums from these nonprofits went to consultants who had personal or family connections to various Fattah campaigns.